It’s ingenuity, passion and commitment to her craft that ensures our Sous Chef, Sam Mackay, excels in her role.  Before taking on such a significant position with Saz’s Catering, Sam worked at Sazama’s Fine Catering, another division of Saz’s Hospitality Group, where she reached the position of Sous Chef in just 9 months. She became interested in cooking when she took classes in high school. That curiosity never abated as she left MATC with a degree in Culinary Arts. Now, it’s the rush she gets from planning, preparing and managing multiple events that she loves, as well as the recognition she receives for creating dishes people enjoy. Her responsibilities include ensuring our dishes are prepared and presented in a manner that meets The Finest in taste and quality. Most importantly, she directs an entire culinary staff to consistently implement these exceptional standards on a daily basis. Whether it’s through continuous training of her kitchen staff or by leading by an impeccable example, she knows exactly what it takes to exceed our clients’ expectations, regardless of event location or size. Sam considers her sincere dedication to making people happy a cornerstone for why she pursues her passions in the culinary world. According to Sam, you can do so much with food, take it in so many directions and the possibilities are endless. It’s a tremendous feeling when you can create something for someone and invoke memories or feelings with just one bite. This conviction is what allows her to take on such a commanding role with poise and personable approachability. We are fortunate to have such a spirited example of self-assurance on our side to act as a liaison between the event sales, execution and culinary teams.